Made with 100% cotton, trust me this shirt feels good on your skin. Great for a workout or if you just want to wear them with a pair of jeans. So join the movement! 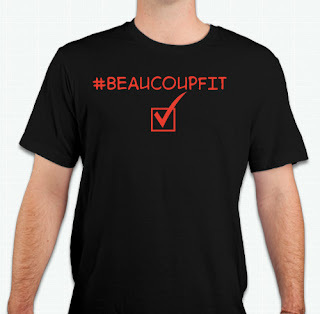 Get your BEAUCOUPFIT T-shirt today to be OFFICIAL BEAUCOUPFIT!! !